HyperACCESS is the highly customizable full-powered version of HyperTerminal. It is the product from which HyperTerminal is derived. HyperACCESS includes many more powerful features such as additional terminal emulators, customization, robust scripting capabilities, and more. If you need to automate any tasks done with a terminal emulator, HyperACCESS is the program for you. Download available immediately. Many additional terminal emulators and file transfer protocols. For a complete list, please visit our Technical Specifications page. 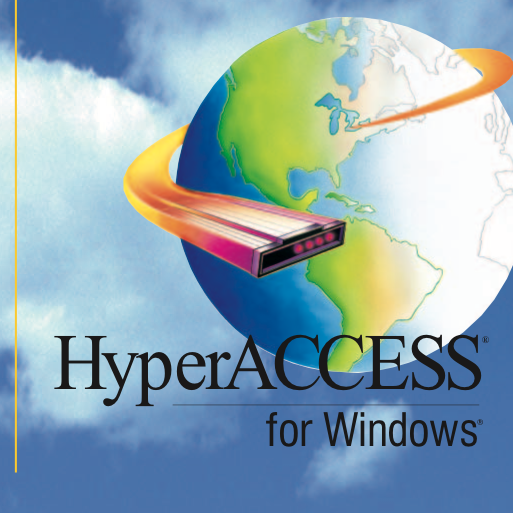 HyperACCESS 9.1 is compatible with Microsoft Windows Vista, Windows 7, and Windows 8, and now Windows 10. It can also now connect with the Secure Shell (SSH) protocol. SSH combined with HyperACCESS’ existing terminal emulation features and robust scripting API creates a powerful tool for server administration. 100% 32-bit code and built with the latest development tools to ensure full compatibility with Windows 95, 98, Me, NT, 2000, XP, Vista, Windows 7, Windows 8, and Windows 10. An improved Application Programming Interface (API) let you drive HyperACCESS from Visual Basic, VBS, VBA, C++, or Java. Display improvements that permit users to expand the terminal view to occupy more of the screen, and prevent the image from following the cursor as it shifts out of view. Includes new options for host-controlled printing. Works with Windows NT roaming profiles. Get HyperACCESS 9.1 TODAY! Download a fully functional 15-day trial, or buy it on-line.